FULL DAY OF DANCE© is the unique, amazing innovation of International Dance Festival@Silicon Valley. The greatest dance experiences for everyone from pros to beginners. Take something you already know and love AND try something completely new to you! Never danced before? This is your time. A professional ballerina who stays up late watching Fred Astaire & Ginger Rogers tap? This is your chance to give it a try. Supportive, enthusiastic teachers. You’ll be in a class with all different levels. Someone might be a complete beginner at classical Indian dance but terrific in tap. Or — a total complete beginner–you name it; it’s all possible. You can take one, some, or all six classes. The price per class reduces with each added class. No special outfits or shoes required. Even for tap, wear a shoe that will stay on your feet; you can learn the rhythms & steps without taps on your soles, but your true soul will be dancing!!! Here’s the class schedule. Doors open at 8:30 a.m. Save time & pay in advance. Information: call 650/969-4110 or see us at facebook/international dance festival silicon valley and at facebook/The Lively Foundation. 9:00-10:00 Pilates mat (bring a towel or mat if you can); 10:15-11:30 Dunham technique; 11:45-1 p.m. tap; 1-1:30 Lunch Break; 1:30-2:30 Line Dancing with Etta; 2:45-4:00 Salsa; 4:15-5:30 Manipuri, an Indian classical dance. Prices: single class $25/all six $84–in between reduces per class with each added class. This entry was posted in INTERNATIONAL DANCE FESTIVAL-SILICON VALLEY and tagged Amity Johnson, Audreyanne Delgado-Covarrubias, Classical Indian Dance, Dunham Technique, Etta Walton, Full Day of Dance, International Dance Festival-Silicon Valley, Katherine Dunham, Leanne Rineli, Leslie Arbogast, Leslie Friedman, Line Dances, Manipuri dance, Mountain View CA, Mountain View Masonic Center, Pilates mat, salsa, Sohini Ray, Summer Dance Festival, tap on July 20, 2014 by Leslie. International Dance Festival-Silicon Valley: Register Now! Registration for IDF-SV, 2014, is open. This post offers a brief summary of costs for the Festival which runs from August 11 to August 17, 2014, at the Mountain View Masonic Center, Mountain View, CA 94041. Please watch this blog for further news and details. Please contact The Lively Foundation, livelyfoundation@sbcglobal.net, for more information and questions. Monday-Friday workshops: Early Bird Fee is $280. Registration after July 1st is $325. M-F workshops include Leslie Arbogast teaching Dunham Dance, tech & repertory; Leslie Friedman teaching Contemporary Dance, tech & repertory; Leanne Rinelli teaching Salsa, tech & repertory. Dancers taking the M-F workshops may perform in the Festival Concert, Aug. 17, on the same program with the artist teachers. They will also be offered opportunities to create their own work. Registration for Full Day of Dance© also offers Early Bird discounts. Single class $30/$25–all 6 classes $84/$72. Cost per class reduces with each added class. 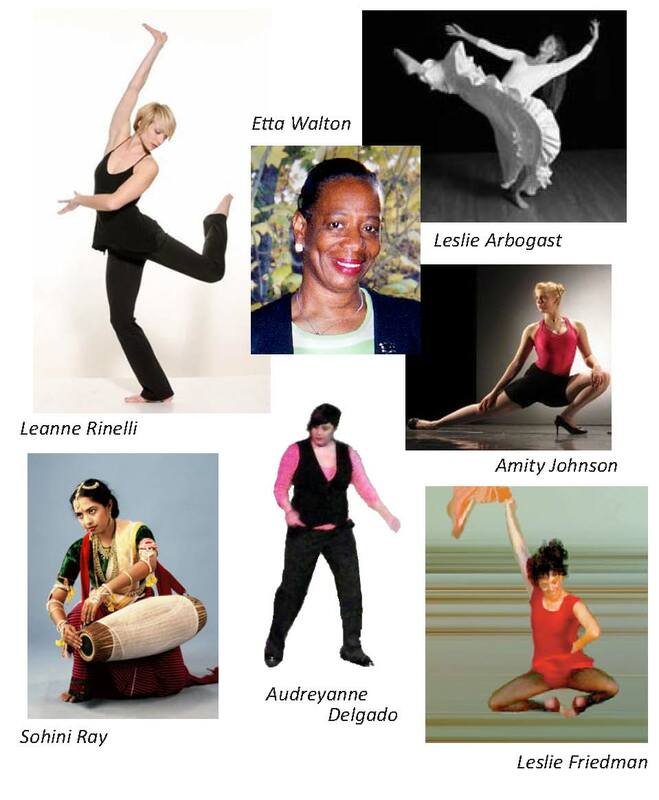 Master Teachers/classes include: Amity Johnson, Pilates mat; Audreyanne Delgado-Covarrubias, Tap; Etta Walton, Electric Lines; Leslie Arbogast, Dunham Dance; Leanne Rinelli, Salsa; Sohini Ray, Manipuri classical Indian dance. The Open Master Classes welcome dancers of all levels and encourage dancers to try something new. An advanced Tap Dancer will enjoy trying Manipuri even though he or she will be a beginner in that class. An accomplished Salsa dancer can try Dunham Dance and experience something wonderful in movement and rhythm which is entirely new to him or her. Beginners and professionals: all are welcome and all have a great time at Full Day of Dance©. (You might wonder why the copyright sign after the title Full Day of Dance©. It’s because even though it has only had two seasons, it was such a great idea that it has already been copied by another company and Festival. Accept no substitutes!! Come to the original; you will remember why you love to dance. pictures: top, Amity Johnson; mid,Sohini Ray; L-R: Leanne Rinelli, Leslie Arbogast. This entry was posted in INTERNATIONAL DANCE FESTIVAL-SILICON VALLEY and tagged Amity Johnson, Audreyanne Delgado-Covarrubias, Classical Indian dan, Contemporary Dance, Dunham dance, Etta Walton, International Dance Festival-Silicon Valley, Katherine Dunham, Leanne Rinelli, Leslie Arbogast, Leslie Friedman, Manipuri dance, Mountain View, Mountain View CA, Pilates mat, salsa, Sohini Ray, Tap Dance on February 19, 2014 by Leslie. SALSA at The International Dance Festival-Silicon Valley!!! It’s going to be a hot summer at The International Dance Festival-Silicon Valley! The Lively Foundation is thrilled to announce that LEANNE RINELLI, the hugely popular dancer/choreographer who taught in our first season, is returning to teach Salsa dancing this summer. Leanne will teach during the Mon-Friday workshop and offer an open master class as part of the Full Day of Dance©. She will teach her M-F workshop class a dance to perform in the Festival Concert. Dancers in her workshop will learn the exciting varieties of footwork in Salsa. The dance they learn will be a Salsa circle dance. The rhythm! The music! Can’t sit still thinking of it. The International Dance Festival-Silicon Valley, Season 3, will be August 11-17, 2014, in Mountain View, CA. Intermediate – Advanced dancers, age 18 and older, are invited to participate in the Monday-Friday workshop which includes classes in Dunham dancing, taught by Leslie Arbogast; Salsa, taught by Leanne Rinelli; and Contemporary plus Improv/Composition, taught by Leslie Friedman. Dancers in the M-F workshops may dance in the Festival Concert on the program with acclaimed professionals, including their teaching artists. The Full Day of Dance© on Saturday, Aug. 16, will include classes in Pilates, Tap, Contemporary, Dunham, Salsa, Manipuri Dance, and Etta Walton’s Electric Slide & other lines. Don’t miss this Festival! It is a unique and powerful resource for dancers who want to tune their technique and learn more about dancing. 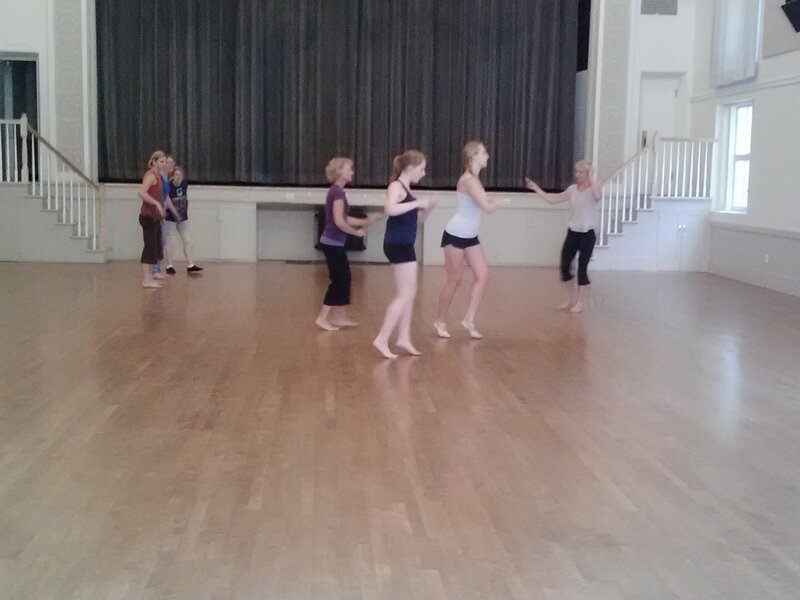 picture: Leanne Rinelli teaching, IDF-SV, 2012, and in performance. See more pictures of the Festival artists at facebook/The Lively Foundation and Facebook/International Dance Festival-Silicon Valley. This entry was posted in INTERNATIONAL DANCE FESTIVAL-SILICON VALLEY and tagged Contemporary Dance, International Dance Festival-Silicon Valley, Katherine Dunham, Leanne Rinelli, Manipuri dance, Mountain View CA, salsa, Summer Dance Festival on January 19, 2014 by Leslie. Wonderful news! Leslie Arbogast, an internationally recognized expert at teaching and performing Dunham dance will be a lead teacher at this summer’s Festival. She will teach Dunham technique and repertory to participants in the M-F workshops, teach an open master class at the Full Day of Dance© and also perform in the Festival Concert. We are thrilled to have her and Dunham dance as part of the Festival. “Dunham Technique is a fusion of Ballet, Modern, and cultural dances associated with the African Diaspora, created by dancer, choreographer, anthropologist, and humanitarian Katherine Dunham. Considered a “way of life”, Dunham Technique is not only dance, but also a theoretical and philosophical model that may be applied to all aspects of a dancer’s life,” wrote Ms Arbogast. 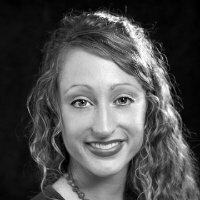 Ms Arbogast studied in East St. Louis with master Dunham dancers and performed internationally. 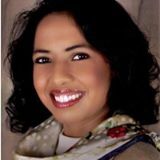 She has been a guest instructor of Dunham, Afro-Haitian, and Samba in Muscat, Oman, and Serra Grande, Brazil. She taught Dunham technique at the City Studio Dance Center, Dance Anthropology at the St. Louis Juvenile Detention Center, and Dance Therapy for those recovering from mental illness at the Independence Center, in St. Louis, for 8 years. She now lives and dances in San Diego where she is pursuing a graduate certificate in Native American Studies. We are thrilled to have her join in the Festival! Don’t miss this opportunity; the International Dance Festival-Silicon Valley, 8/11-17, Mountain View, CA. This entry was posted in INTERNATIONAL DANCE FESTIVAL-SILICON VALLEY and tagged Afro-Haitian dance, Dance, dance festival, dance workshop, Dunham, International Dance Festival-Silicon Valley, Katherine Dunham, Leslie Arbogast, Leslie Friedman, Lively Foundation, Mountain View CA, Mountain View Masonic Center on January 5, 2014 by Leslie.